Our second report card on access to obesity treatments in Canada arrives April 23rd! Improving the lives of Canadians affected by obesity through anti-discrimination, prevention and treatment efforts. Public & professional events, online CME, advocacy, research and more! Sign up for our public newsletter, tell us your story and follow us on social media. Supporting the 6 million+ Canadians with obesity requires a coordinated public- and private-sector effort. Facts about the disease, and how it can be prevented and treated. 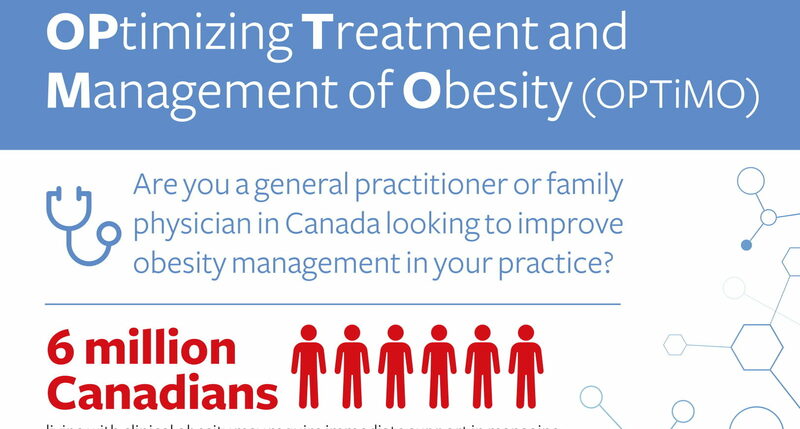 Our Canadian database of obesity clinics has been updated! We leverage the expertise of more than 12,000 physicians, allied health professionals, researchers, policy makers and more. Online learning, conferences, treatment frameworks and more. Do you live with obesity, or are you a professional working in obesity? Tell us more about you! Network updates, research perspectives, opinion and more.